Mmmmmm! 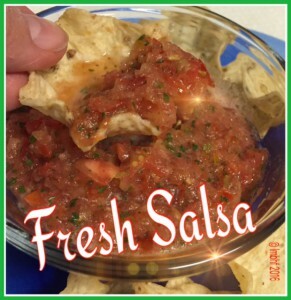 This fresh garden salsa is DELICIOUS! 5 lbs (approximately 6 cups) of Ripe Tomatoes (We like to use a variety of types of tomatoes to give the salsa an extra rich flavor). Using a food processor, chop tomatoes to desired consistency and pour into a large bowl. Slice the three types of peppers and chop together with approximately 1/3 of the cilantro in a food processor to desired consistency. Add the peppers and cilantro mixture to the tomatoes and stir. Season to taste with salt and garlic salt. 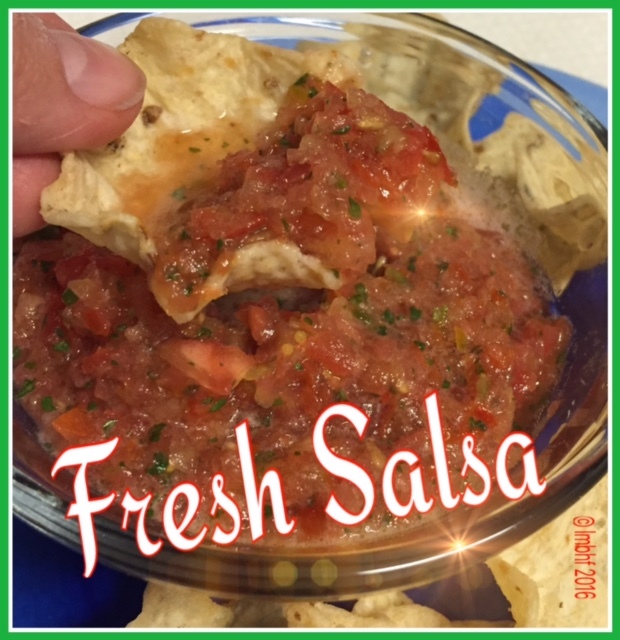 Serve with corn chips & enjoy! !